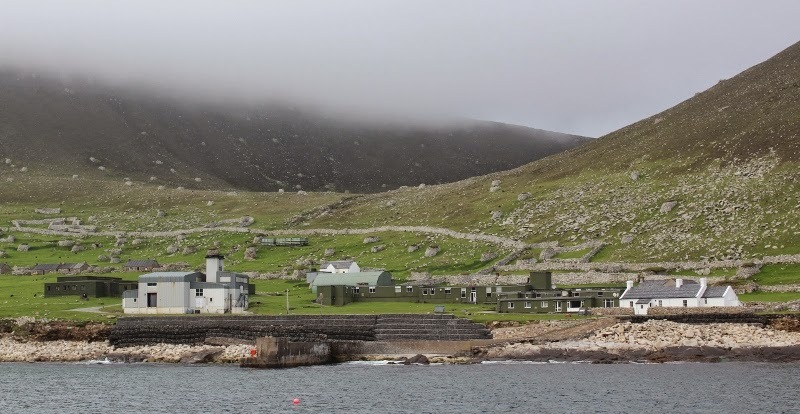 Our first view of Village Bay on Hirta the largest island of the St Kilda group. The white buildings on the right are the restored Manse, Church and Schoolhouse. The modern building are what remain of the military presence, and behind them the restored 1860 houses are mixed in with the ruins of the old black houses. Spreading up the hills behind are the ever present stone storage huts known as cleits, over 1000 of them, dotted around the island.